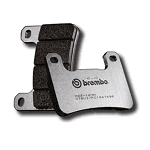 The Brembo RC front brake pad is a carbon ceramic pad designed specifically for road racing. It has a very high and stable friction coefficient, particularly at the extremely high temperatures generated in racing. However, this carbon ceramic pad has slightly softer initial bite and a more progressive feel than it's sintered equivalent. 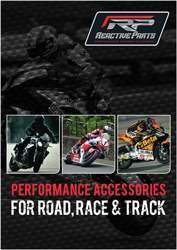 It is specifically designed to operate at high temperatures but is not so good at low temperatures so it is not suitable for road use and should not be used on rear brake discs.